I’ve just picked up a new book, which originally cost £25, for very little money at all – £2.49 in fact. It was at The Works and if you are interested, they do have more – at least at the Junction 28 M1 outlet branch. 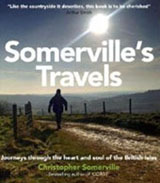 It is Christopher Somerville’s Somerville’s Travels which describes 19 long distance walks plus one 100 mile train journey spread the length and breadth of Britain and Northern Ireland. They also include a 77 mile circular walk along London’s “green corridor”, which he completed in 5 days. Some of the walks are along established long distance paths, whilst others Somerville appears to have put together himself. It gives the appearance of being a coffee table book and I suppose to a certain extent it is, but it’s not just colourful photographs – each journey gets the poetic and eloquent Somerville treatment with tales of encounters with local people, the sights and sounds to be experienced and a fair amount of local history. There’s a map of each journey and, at the start, a map of Britain showing where each walk – or rail journey – is. In addition to the text, there are a lot of excellent photos. Considering the fact that the book started off with a £25 price tag, which was reduced to £20 and now there are piles of them in The Works, it suggests that either it didn’t seem to sell well or they printed too many. Either way it’s worthwhile looking for this book at a discount, either at the remainder bookshops or the usual online sources. 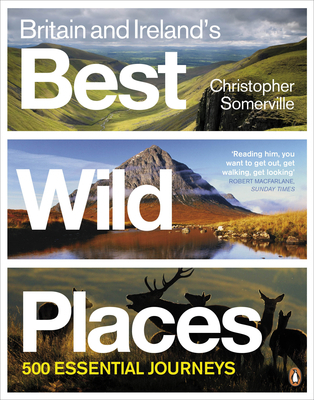 A word about another of Somerville’s books : Britain and Ireland’s Best Wild Places. The book describes 500 ‘wild places’ in both urban and rural settings, but one of them doesn’t exist. According to Somerville’s website, if you spot the odd one out, you could win a prize. There’s no indication of a deadline for this competition (bearing in mind that the publication date was 2008), so I can’t say if there’s still a prize waiting to be claimed, but if you are lucky enough to spot the imposter, it might be worth trying. … but not quite what you might imagine. I’m currently going through my bookshelves and rooting out all the books I don’t really need to keep any longer – an exercise that is well overdue. In the process of clearing out – and deciding what to get rid of is very difficult – I’ve rediscovered several gems. I’ve always found it hard to dispose of any books at all, but needs must. 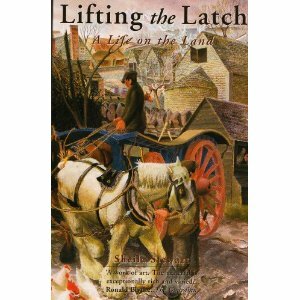 Anyway, one of these ‘gems’ that I really want to spend a little more time with is a paperback by Sheila Stewart called Lifting the Latch: a life on the land. It’s the story of Mont Abbott, a farm boy, carter, labourer and shepherd. Sheila Stewart talked to Mont Abbott on many occasions and made over fifty recordings in the space of about 2 years as he told her the story of his life in and around the village of Enstone in rural Oxfordshire. She then decided to write his life story as if he were telling it himself in his picturesque Oxfordshire accent. He left school at the age of 13 and started work on the farm the day after he left school. He tells of farming jobs which have long since disappeared, the arrival of the first cars on the roads, the joys of singing in the church choir , the day he went to Buckingham Palace to visit his brother Gil who was Queen Mary’s footman and how his fiancée died of pneumonia just before they were due to be married. Re reading some of the passages reaffirmed my determination not to get rid of that book – it’s a book you can come back to time and time again. It’s a reminder that times might have been hard, but there didn’t seem to be any shortage of happiness.